Local bar owners and entertainment clubs have always been concerned with the safety of their patrons. 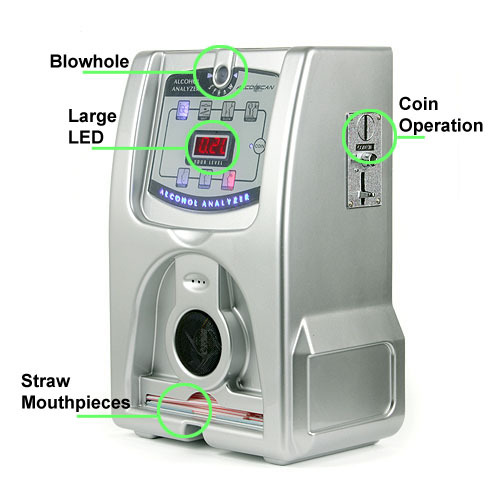 The AL3500 coin or bill operated breathalyzer machine is designed with everyone safety in mind. 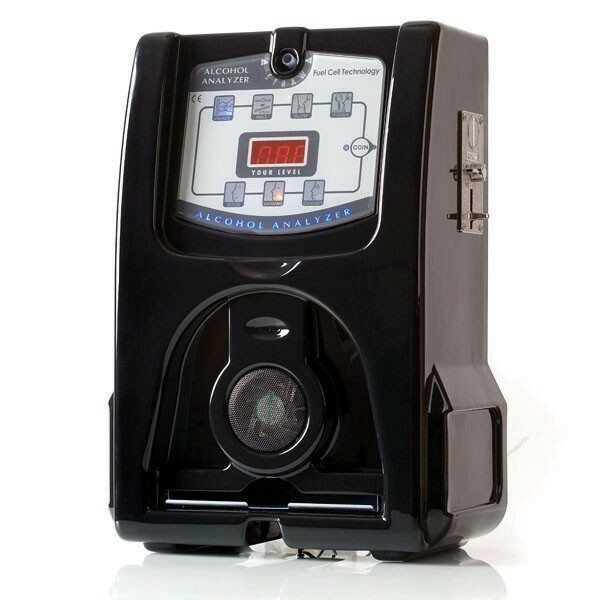 This bar breathalyzer is not only a great source of revenue but it enhances the positive image of alcohol serving businesses and empowers customers to make informed decisions. Make that smart decision today and order your AL3500 BAC vending machine for your establishment. 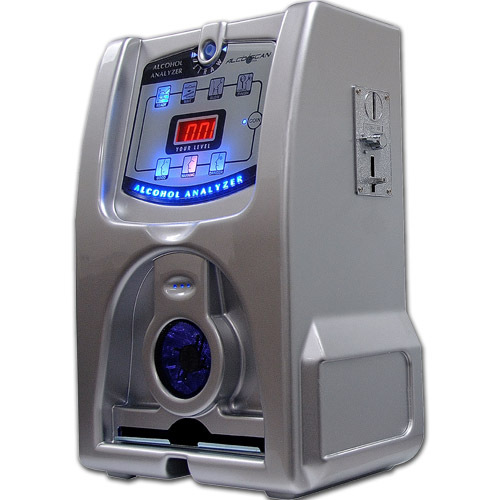 Installing the breathalyzer vending machine in your bar, club or banquet hall is not only a fun source of revenue, but also a smart decision for ensuring the well-being of your patrons, business, and the community. No calibration required - no downtime, no loss of revenue! Each year, states enact more stringent DUI laws and more severe drunk driving penalties. Drinkers could lose their driving license, be placed in jail, and fined substantial fees. Car insurance rates may rise and drinkers could end up with criminal convictions on their record that could impact their lives and their employment opportunities. In recent news, the Utah Department of Alcoholic Beverage Control has suspended the license to serve alcohol of a Utah bar. This followed an investigation that began when two young men died in a fiery car crash Jan. 15, 2001, caused by an impaired driver who says he spent the night of the crash slugging back four to five drinks an hour at the local bar. This vending breathalyzer machine is a step in the right direction for any responsible bar owner. While our vending breathalyzer machine cannot eliminate irresponsible drunk driving entirely, but it will help those who value their own lives and the lives of others and exercise the caution needled to get home safely. Installing the AlcoScan AL3500 in your bar promotes safe drinking practices for patrons. The Semiconductor model of the AL3500 uses a replaceable sensor module. If you purchase the fuel cell model, then you will have to send the device in for a calibration to our lab. For any questions, please contact us at 1-818-701-9200.